The Intolerant Gourmand - FFEOA - why they're so important! 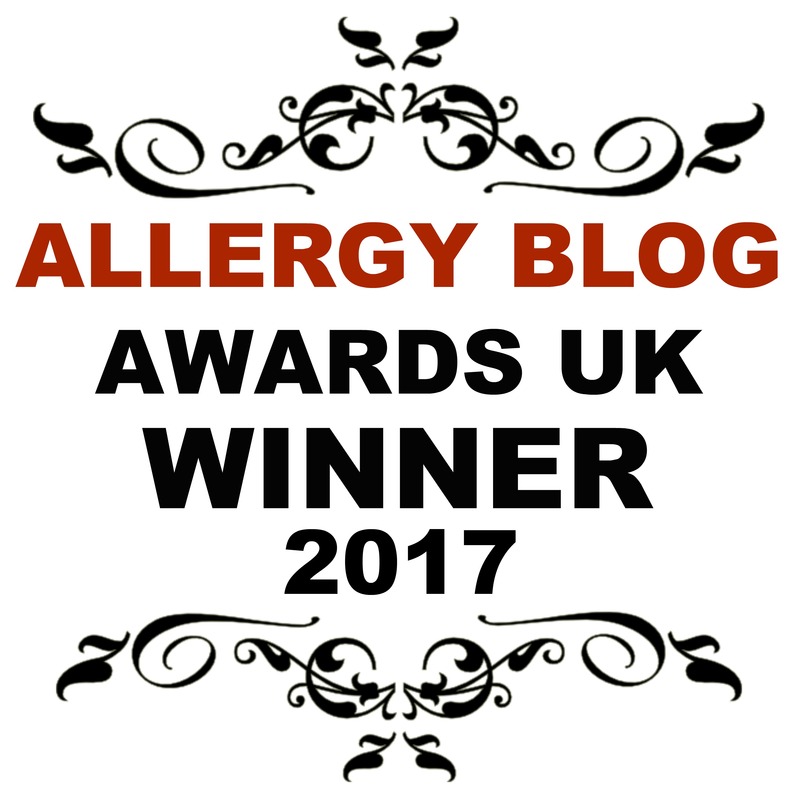 Eating out with allergies can be difficult, that's why the Free From Eating Out Awards are so important! For most families, the exclamation of ‘Kids grab your things we’re going out for lunch!’ is something taken for granted! For us, it's a sentence I say very rarely these days, at least not without careful planning and preperation. Many will wonder why, as it’s such a common thing to say at the weekends in particular! Well, when dealing with allergies, it can be incredibly difficult to eat out safely. Something that we all take for granted, myself included prior to Callum’s diagnosis, suddenly becomes something of a concern. Do they cater for allergies? Do they understand the seriousness of cross contamination and the consequences if they get it wrong? How can you confidently and successfully convey the seriousness of the situation, and still create a tasty and appealing meal? For the past 2 years I’ve been fortunate enough to be involved in something that truly excites me! Have you heard of the Free From Eating Out Awards? Being a judge for the Free From Food Awards is an incredible privilege, and something I’ve written about previously. I absolutely love being a part of such a wonderful event, and I never tire of discovering new and innovative products in the free from market. I get the privilege of also judging in the Free From Eating Out Awards, and it’s so exciting to be part of, as I’ll now explain! Launched in 2014, the Free From Eating Out Awards have fast become an important fixture in the calendar. Judged by people with much experience of allergies, myself included, it is a chance for cafes, pubs and restaurants to show how good they are when it comes to catering for those with allergies. When entering, you have to be confident in your ability to cater for allergies as there is a rigorous judging process comprising of 3 parts! For the first part, the judges use the completed entry forms from each venue to check how well the eateries understand the complexities of catering for those with allergies. It’s also important for them to explain and show what sets them apart from others? How robust is their training for staff? What meals do they offer? Do they understand the implications of cross contamination and the seriousness of what can happen if anything goes wrong? Exactly the concerns I deal with each time we eat out with Callum. The second part comprises of the entrants being shortlisted by the judges. This is based on the feedback from the first round of judging. At this point, the shortlist is then published to the media, and entrants find out whether they have got through to the next round! The third part is where the proof is quite literally in the pudding, and the judges visit the shortlisted venues to test them out fully. This stage is done incognito so that practices described can be seen to be followed, and also to test the quality of food is as good as suggested. The nervous wait for entrants then begins, as they wait to find out who the winners are, when they are announced at an awards event at Food Matters Live in November. So as you can see, it’s not for the faint hearted, everyone who enters needs to be confident in their ability to deliver at all levels as they will be scrutinised at every stage! Callum always wants to be a part of the judging process, and next year I will take him along with me, it will be interesting to see what he thinks! But back to the judging for this year! I had the pleasure of visiting the very lovely ‘The Old Queens Head’ in Penn, High Wycombe. I took my lovely friend Vicky, who is also a foodie. I could trust her to test them to the fullest, and ensure they delivered what they had promised in earlier rounds of judging. The bar staff were so excited about being part of the awards, as soon as I mentioned that I was gluten free (remember I had to be incognito), the lady behind the bar started telling me all about how they had been nominated for a special award to do with being able to cater well for allergies. It immediately made me want to see them do even better than they were promising in the first rounds of judging! They were clearly very passionate about their food, who they could cater for, and were open and honest throughout our visit. The venue itself is beautifully presented, and decorated with a classic, comforting and welcoming décor. Think big, heavy wooden tables and chairs, beautiful artwork on the walls, and inviting sofas and chairs that you know you will sink into. They have a standard menu, and also a gluten-free menu, dairy-free menu, and a gluten-free and dairy-free menu. This in itself is impressive, not least because it’s rare to find a pub or restaurant with a dedicated free from menu to this level. Their love of food was very apparent with the seasonal produce used throughout their menus, and indeed there were notices to advise that the menu would be changing to reflect the change in seasonal recipes and the produce available. Each dish that was brought out was exquisite in both look and taste. The attention to detail was 1st class, as was the presentation. We had the signature starter of bubble & squeak with oak smoked bacon, free range poached egg and hollandaise sauce. For our main, Vicky had the house burger and chips, and I tested out the grilled pork tomahawk with orange and sage glaze, sautéed new potatoes and red cabbage slaw. We then finished with a latte, and Vicky had chocolate brownies with hers, while I tried the delicious ice creams! We were both extremely impressed throughout. The service was superb, as was the food. If I had any questions, there was no hesitation, immediate answers, and a very clear understanding of allergies, cross contamination and also how to be imaginative with free from food to create enticing and delicious menu options. I quizzed them as to whether they would be able to cater safely for Callum, and they were more than happy to accept the challenge. I have every confidence they will be able to successfully feed him without issue, so I will be returning with the family without my judging hat on. The Free From Eating Out Awards are now just around the corner, and I for one can’t wait to see who the winners are on Tuesday night at a glittering event to be held in London! Best of luck to everyone involved, and thank you for leading the way and showing that catering for allergies can be achieved so successfully!